Pakistani and Indian experts on Monday opened round-table talks in Islamabad over water disputes between the two nuclear-armed neighbors, even as tensions over competing claims to Kashmir remain high. 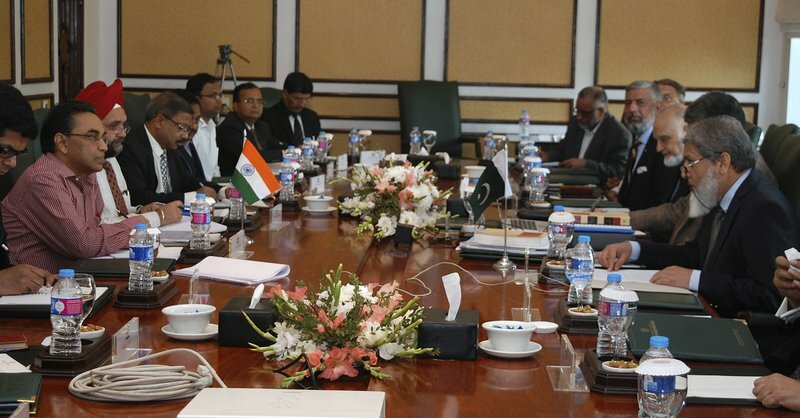 Pakistan's minister for water and power, Khawaja Asif, welcomed the Indian delegation for the two-day talks, saying he hoped the discussions will move forward in anticipation of continued talks on April 12 in Washington. Both sides signed the Indus Water Treaty in 1960, brokered by the World Bank, to share the vast water resources from the Indus River system, which supplies water to both countries. The treaty requires annual meetings but none have been held since May 2015 because of tense relations between New Delhi and Islamabad. "Respect and implementation of this agreement ... is in the interest of both countries and this region," Asif told reporters, adding that the Islamabad meeting would focus on three Indian projects for generating hydroelectric power on the Neelum and Jhelum rivers that flow through the disputed Kashmir. Pakistan, a country of 180 million people with a largely agriculture-based economy, fears the projects could severely deplete its water resources. Many worry the dispute could further escalate tensions between the nuclear-armed rivals. Pakistan last September asked the World Bank to mediate, but the organization later backed out, forcing Pakistan and India to resume direct negotiations.